Join us THIS WEDNESDAY, June 14 (Flag Day! 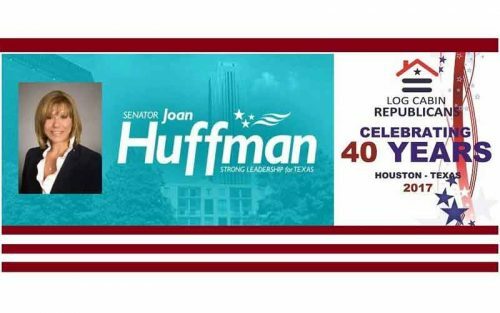 ), for our meeting with State Sen. Joan Huffman, SD 17, who will be discussing this year’s very active Texas legislative session, at Theo’s Restaurant on 812 Westheimer. Our social half-hour starts at 6:30PM, and the general meeting gavels into session at 7:00PM. This could be a very interesting meeting given that Sen. Huffman’s signature piece of legislation, Senate Bill 2190, took money from away from firefighters in Houston and gave it to police and municipal employees. Or not. Depends upon who shows up I guess. I don’t doubt the good intentions of Sen. Huffman, just like I don’t doubt the good intentions of my state rep, Dennis Paul, that supported Sen. Huffman’s efforts. I am skeptical however of the end result of supporting a plan by Houston Mayor Sylvester Turner that strips benefits from firefighters and gives them to other city employees. In fact, I haven’t found a single person, including the elected officials that voted for this reduction in benefits to some employees at the expense of others, that will state unequivocally that it will actually work to keep the City of Houston from bankruptcy. I haven’t been to a meeting of the LCR in a while, maybe this week is a good week to attend. If I do, I hope to see you there. Thank you for telling it like it is. The firefighters were taken advantage of, spoke harshly of and said to be greedy. Politicians have the media at their service and can spew their lies while the one being hurt by the politicians. So many active and retired firefighters are suffering from so many cancers from exposure. The city isn’t paying those bills, our individual pension was. Now not so much. Houston firefighters have lost so much and what was done and said about them is criminal. Maybe we should have a trial run titled, “A Day Without the Houston Fire Department” and see what happens.